What laws apply to marine mammals? The most commonly known environmental law is the Endangered Species Act (ESA) of 1973. This act was designed to prevent threatened and endangered species from becoming extinct by protecting them and their habitats. Are all dolphins and whales endangered? No, out of the 84 species of cetaceans, only the vaquita, northern right whale, southern right whale, western north Pacific gray whale, bowhead whale, humpback whale, fin whale, sei whale, sperm whale, blue whale, and the susu river dolphin are listed as endangered. Many species are considered vulnerable. For most species, not enough is even known to determine their status! Even though dolphins are not endangered, laws exist that specifically provide for their protection. Why? What prompted Congress to enact the Marine Mammal Protection Act in 1972, and to expand the Animal Welfare Act in 1979 to include marine mammals? The American public, driven by their emotions, demanded protection for marine mammals. Marine mammal/human interactions have been a common concern throughout the history of these laws. 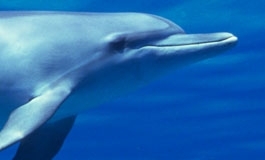 Widespread interest in bottlenose dolphins began in the 1960s when the American public was introduced to "Flipper" through movies and television. Many people sat enthralled as Flipper communicated with his human friends, always managing to save the day and catch the bad guys. During the same period, we were introduced to the fantastic physical feats of dolphins and other marine mammals while visiting marine mammal parks and aquariums. Not all dolphins taken from the wild were put in large marine mammal parks. The increasing curiosity about dolphins gave rise to displays at small gas stations and backyard zoos. People actually kept dolphins in plastic-sided swimming pools, charging tourists to see them. Not surprisingly, the animals existing in terrible conditions in the less reputable, backyard displays did not live long. While many people enjoyed seeing dolphins in marine parks, those making their living from commercial fishing did not see the smiling gray faces in quite the same way. Dolphins stole fish from hooks, chased away schools of mullet, ruined expensive gear and made themselves a nuisance. It was not unusual for people to shoot at dolphins from boats or bridges, either for sport or in anger at having their catch stolen. Meanwhile, in the tuna fisheries of the Eastern Tropical Pacific Ocean, purse seine nets routinely encircled pods of dolphins in order to catch their tuna. Hundreds of thousands of dolphins died each year in the tuna fishery prior to 1972. Up to this point, there was not much concern among the general public about the well being of marine mammals. The U.S. was the strongest whaling nation at one point in whaling history, and dolphins were just small whales. They had no commercial value, other than for marine parks. What brought marine mammal law into the spotlight? Public consciousness of many issues grew during the late 1960s and early 1970s. Organizations like Greenpeace, World Wildlife Fund, and Center for Marine Conservation were founded with the sole purpose of inspiring people to take responsibility for their actions and improve the environment. These groups expressed concern for marine mammal cruelties such as the continuation of whaling by many countries, the clubbing of baby harp seals for their white coats, the sport shooting of polar bears by helicopter, and the hundreds of thousands of dolphins dying in the tuna fishing industry. As fledgling environmental organizations expanded, marine mammals provided them with high profile causes that grabbed the hearts of the public. Dolphins, the most familiar marine mammal, needed help. What better mascot than the lovable dolphin? Due to the efforts of such groups, and the public's exposure to dolphins in marine parks that created awareness and sympathy, two main laws now exist which protect marine mammals in the United States: the Animal Welfare Act and the Marine Mammal Protection Act. The regulations concerning marine mammals in the Animal Welfare Act focus on the care provided for animals in zoological parks and aquariums. The Marine Mammal Protection Act deals with issues concerning wild marine mammals, except for the case of importing or exporting marine mammals into and out of the U.S. The facility must have a sound and properly constructed housing area suitable to the particular species of animal that will be maintained. For example, if a facility wanted to maintain Atlantic bottlenose dolphins, the pool must contain salt water (as opposed to fresh water). The pool must meet minimum space requirements, depending on the size, number, and species of animal that will be maintained. The water in the pool must meet minimum standards for salinity levels, pH balance, chlorine levels, copper levels and coliform bacteria levels. All the above-mentioned chemical levels must be tested on a daily basis. Coliform bacteria levels must be tested on a weekly basis. Each facility is required to maintain records of this testing on site and be able to produce them for review by any APHIS inspector. Housing and food preparation areas must be cleaned and sanitized on a regular basis. Facilities follow specific guidelines outlined by APHIS. The facility must have experienced employees with a background in marine mammal husbandry and care. Animals are not to be kept in isolation, except on a temporary basis for medical or training purposes. Animals that are not compatible shall not be housed together. Local veterinary care must be provided for the animals. The food fed to the animals must be wholesome, palatable, free from contamination, and of sufficient quantity and nutritive value to maintain the animals in good health. The AWA addresses marine mammals in human care. What about the safety of marine mammals in the wild? The MMPA was first enacted in 1972, making it illegal for a U.S. citizen to "harass, hunt, capture, collect or kill” marine mammals on the high seas. This law also applies to anyone within the 200 mile Exclusive Economic Zone (EEZ) of the U.S., and within any other U.S. territory (50 CRF 216.3). The MMPA regulates subsistence kills of marine mammals for native villages, and also regulates marine mammal interactions with fisheries, such as tuna nets or drift nets. The MMPA is administered by two agencies. The U.S. Fish and Wildlife Service (FWS), under the U.S. Department of the Interior, is responsible for walruses, polar bears, sea otters, and manatees. NOAA Fisheries, under the U.S. Department of Commerce, is responsible for whales, dolphins, seals, and sea lions. an act of pursuit, torment, or annoyance which has the potential to injure a marine mammal or marine mammal stock in the wild by causing disruption of behavioral patterns including, but not limited to, migration, breathing, nursing, breeding, feeding, or sheltering (50 CRF 216.3). “Feeding” was specifically addressed within the definition of “harassment” as a result of a 1991 court case decision (Strong vs. the U.S. Government). The U.S. Government proved the activity of feeding wild dolphins by Strong’s boat charters in Texas qualified as harassment under the MMPA. Amendments came into effect in 1994 with the MMPA reauthorization. Unfortunately, the feeding of wild dolphins still occurs. In the last 30 years, dolphins and whales have experienced growing popularity. Since the Flipper series and the Free Willy movies, the public has become very interested in having close encounters of the dolphin kind. Unfortunately, all this attention has not proven to be in the best interest of the dolphins living in the wild. Many people seek the opportunity to engage in interactions with wild marine mammals. These interactions are not only illegal, but are also potentially harmful to the animals as well as to the people. Feeding dolphins in the wild can be particularly harmful. Studies in the last several years have indicated trends of altered behavior in groups of wild dolphins that are being fed. Monkey Mia, Australia, is an area where wild dolphins gather. People eager to meet, play and touch the dolphins have been feeding them for a number of years. Researchers have found an increased mortality rate in juvenile dolphins born to mothers who have become accustomed to taking food from humans. 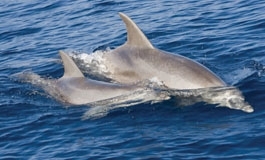 Researchers believe that the young dolphins did not learn to forage properly. Additionally, scientists feel that being fed from the beaches may distract the dolphins, which leaves the young susceptible to predators, such as sharks. Dolphins could be less willing to hunt for their own food because of the ease of being fed by people. Behavior of wild marine mammals changes when humans feed them. Normally shy and timid animals learn to seek out people for food. NOAA Fisheries has documented reports of marine mammals being shot, attacked, or injured when begging for food. In one case, a sea lion died after being fed an explosive. There have been complaints that animals are being fed candy, cookies, sandwiches and chips. In Florida waters, there have been several documented cases of wild dolphins attacking people after begging for food and finding none offered. There is even evidence that dolphins learn to steal from fishing lines after learning to receive food from people. Harmful interactions are not only limited to feeding. Swimming with wild marine mammals can also be dangerous to both parties. Encroaching on areas that are dolphin resting places or rookeries for seals and sea lions can alter normal behavior. Rookeries are essential for seals and sea lions to raise their pups. Scientists believe that disturbing these areas may affect long-term, mother-pup bonds and nursing behaviors, as well as social interactions between animals. There have also been many reports of swimmers being injured by “friendly” wild dolphins, and even one confirmed death of a man in Brazil. NOAA Fisheries officials state that activities like whale and dolphin watching cruises must be carried out in a manner that does not “take” or “harass” marine mammals. Swimming with wild dolphins is not specifically mentioned under the definition of “harassment” like in the case of “feeding”. The MMPA does not provide for swimming with wild dolphins, whether commercially or recreationally. “Watching” cruises (in theory) are a form of passive observation that does not disturb the animals. NOAA Fisheries considers swimming with wild dolphins, however, to be an act of "pursuit …which may have potential … to disturb a marine mammal or stock in the wild causing behavioral patterns to be disrupted” (50 CRF 216.3). Swimming with wild dolphins and whales facilitates interactions with them. NOAA Fisheries recommends maintaining a minimum distance of 50 yards from any marine mammal. NOAA Fisheries finds it is difficult to prove who pursued whom, so swimming with wild dolphins is rarely enforced as illegal. Wild dolphins that have never encountered humans before should, by nature, maintain a safe distance. If they actively pursue a person, chances are they might have been conditioned to do so in the past, perhaps with the persuasion of food. NOAA FISHERIES hopes to instill a “wildlife ethic” and would like people to learn about marine mammals by observing them from a distance when in their natural habitat. For their own protection, wild marine mammals need to remain wild and retain their natural wariness of humans. Conditioned exposure to humans and human activities puts marine mammals at risk of accidental interactions with boats and fishing practices, and ingestion of inappropriate or contaminated food. NOAA Fisheries has received reports of dolphins being fed things like hot dogs, Cheetos, beer, and firecrackers. In some cases, people shoved objects in the dolphins’ blowholes! In 1997, a minke whale beached itself in Big Pine Key, Florida with five bullets from three different guns! Even though some feel that their interactions with marine mammals are respectful, people can no longer protect whales from these evils once they come to trust humans. The MMPA provides limited exceptions to the prohibition on a take of a marine mammal. One of the exemptions to a take is a "scientific research" permit, which allows bona-fide research to be conducted on marine mammals. Another exemption may be a permit for the "enhancement or recovery" of a species through reintroduction projects, which allows the taking of threatened or endangered marine mammal species for breeding or repopulation purposes. Such a permit is issued in accordance with the Endangered Species Act. Other exemptions include photography, incidental catch in commercial fishing operations and public display. Interestingly, a scientific research permit is required for researchers taking photos for identification projects regardless of whether they are getting in the water to do so! The MMPA also requires that any permit application be reviewed by an agency called the Marine Mammal Commission (MMC). The MMC is an independent watchdog agency that reviews actions taken by the FWS and NOAA Fisheries with regard to marine mammals. The MMC consists of three people appointed by the President and is assisted by a Committee of Scientific Advisors. The MMC, upon consultation with the Committee, will provide a recommendation to the appropriate agency on whether a permit request should be approved or denied. All permit applications are published in the Federal Register, a daily publication that summarizes the application and provides addresses so that any interested person can obtain a copy of the permit request. A 30-day comment period then provides the public with an opportunity to provide input into the approval or denial of the permit application. Upon demonstration of good cause, an interested party may also request a hearing on the permit application. The permit application must be approved or denied within 30 days of the end of the hearing, or the end of the public comment period. Through this permit process, the MMPA provides for collections of marine mammals from the wild. Quotas are set on how many wild animals may be collected from a certain area, dependent upon the population size and sustainability of the species. 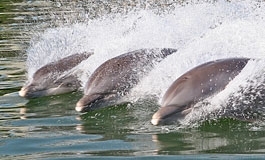 Common bottlenose dolphins, however, have not been collected since 1989, because of success in the captive-breeding program. The MMPA recognizes the value of marine mammals and the important role zoological parks and aquariums play in educating the public. While APHIS, under the AWA, retains the primary regulatory authority over the actual standards and conditions under which marine mammals may be kept, the MMPA does require that any facility maintaining marine mammals meet three conditions: 1) the facility must be open to the public on a regular basis; 2) the facility must offer an educational program which meets professionally recognized standards; and, 3) the facility must be licensed by APHIS. Under the authority of the MMPA, NOAA Fisheries operates the National Marine Mammal Tissue Bank and Stranding Network Program, which responds to strandings and unusual mortality events of those marine mammals under their jurisdiction. Zoological parks and aquariums comprise a large part of the stranding network. Similarly, the FWS responds to injured animals under their jurisdiction, such as the endangered Florida manatee. In the manatee’s case, the FWS entrusts much of that responsibility to Florida’s Department of Environmental Protection. NOAA Fisheries and the FWS do have a limited role in the operation of zoological parks and aquariums. NOAA Fisheries is also the custodian of the Marine Mammal Inventory of dolphins in human care. They must be notified of a transport among facilities. NOAA Fisheries governs all import and export of marine mammals to and from the U.S. and all return to wild projects which, incidentally, require permits. To free or not to free, that is the question. In order to be issued a permit to return a dolphin back into the wild after it has lived in human care, one must apply for a scientific research permit, which means that the release project must be conducted as bona-fide research. In a scientific based project, the benefit would be for the population or species and not for an individual animal. According to conservation science, reintroduction is a technique using wild animals or animals born at a facility to restock wild populations in natural habitats. A review of reintroduction projects, using a variety of animal species, shows an average success rate of 11%. The risk of reintroduced animal(s) not surviving is too great at this point. Sometimes we have no choice but to take that risk, because it represents a final hope, like in the case of endangered species. Bottlenose dolphins and killer whales are not endangered, however, so scientists must look at each individual case for the likelihood of survival and for the possible threats to wild populations. Some scientists point out that if the success rates of reintroduction could be increased by perfecting the science with non-endangered animals, then it would be valid scientific research. Many charismatic speakers try to convince the general public that marine mammals, dolphins in particular, are better off dead than in human care. One aspect of caring about marine mammals is being concerned that they have a high quality of life, which can be provided by marine mammal facilities. Forcing them to struggle for survival in the wild would not provide a high quality of life, and may even end up in death. Also, an introduced marine mammal may place the wild populations it has contact with at risk. Can they be returned to their native home range? This aspect is important to the genetics of populations and species. How old were they when they were captured, or were they born in human care? In other words, are they capable of surviving in the wild? Did they learn the valuable lessons of how to communicate with their species, hunt for food, migrate, evade predators, etc.? How accustomed are they to people? Will that cause problems to their own survival in the face of dangerous interaction? Will they put the safety of people at risk? Have they developed the proper immune system for wild survival? Wild dolphins may have immunities to diseases that dolphins in human care do not, and dolphins in human care could also expose wild dolphins to diseases that they have never encountered. NOAA Fisheries is the agency issuing permits for such a project. They require two simply- stated but crucial contingencies. The marine mammal must not pose a threat to wild populations, and it must be healthy and likely to survive on its own in the wild. Return-to-wild projects must also provide a proven monitoring system to track the animals and a plan to rescue the animals if they are not adapting to life in the wild. Dr. Randall Wells, a well-respected marine mammal scientist, carried out the only documented reintroduction project involving dolphins that is deemed successful. Even he has stated that he would not attempt to do the same thing again because of the stress it causes the dolphins. All other claims by activists are simply claims. Many times, once the dolphin or whale was set free, it was considered a success by activists despite little or no follow up. In January 1998, an extremist named Ric O'Barry, and others involved in a "return-to-the-wild" project were federally charged with violating the MMPA. They were charged with harassing and illegally transporting two dolphins, Buck and Luther. Ric O'Barry dumped these two dolphins into a wild pod six miles off the coast of Key West on May 23, 1996 after they’d spent a year in a "re-conditioning" program at Sugarloaf Dolphin Sanctuary. Neither Buck nor Luther was from Florida waters. NOAA Fisheries arranged for both dolphins to be rescued out of concern for their inability to survive in the wild alone. Luther was sighted the day after his release approaching boats and jet skis. He was rescued when he followed a group of jet skiers into a remote area. Buck disappeared for two weeks after being abandoned by Ric O'Barry. Buck, close to death, was rescued by the federal government and DRC personnel. He had traveled over 100 miles without Luther or other dolphins. He had lost a third of his body-weight, was severely dehydrated and was breaking down his fat and muscle tissues for energy. Some of the most prominent marine mammal veterinarians examined Buck and diagnosed his condition as typical of terminally ill, stranded cetaceans. He did not have the knowledge or the tools he needed to survive. Buck was in critical condition when he arrived at DRC. Due to our dedication and Buck's spirit, he gained weight back and felt better. We enjoyed working with Buck and his boyish enthusiasm for three years, but he never fully recovered from his near-death experience, and having been so emaciated, dehydrated and stressed. He experienced high points and low points in his recovery until he let go peacefully on June 20th of 1999. Buck leaves a legacy of truth to another possible ending to the Free Willy story, and we will continue to honor his life in sharing his truth. In June 1999, Judge Peter A. Fitzpatrick, a U.S. Administrative Law Judge, fined all that were involved in this case – Ric O'Barry, Lloyd Good III, Sugarloaf Dolphin Sanctuary and the Dolphin Project Inc. – civil penalties of $40,000 for illegally "taking" by harassment and illegally transporting Buck and Luther. The Sugarloaf Dolphin Sanctuary was also fined $19,500 for failing to notify NOAA Fisheries prior to transporting Buck and Luther. The Honorable Fitzpatrick chose to fine the maximum penalties provided by law, because he wanted to set a precedent to prevent irresponsible releases in the future. In issues of ethics involving marine mammal law, the most important aspect to remember is to use our emotions to drive us into action, but to also use our critical minds to guide us. Do not take anything stated or written at face value. Look behind the voices and the words. Always check references of statistics given and statements quoted making sure that they are being interpreted correctly and that they are current. The best ambassador for marine mammals and their environment is a motivated and informed one! “An Alliance for Conservation: Understanding the MMPA.” 1993. Aquaticus, 24(1), Journal of the Shedd Aquarium, Chicago, IL. Twiss, J. R. and R. R. Reeves (eds.). 1999. Conservation and Management of Marine Mammals. Washington D. C.: Smithsonian Institution Press. The United States maintains some of the best standards for marine mammals in the world. Dolphins, whales, sea lions, manatees, and other marine mammals are protected by the Marine Mammal Protection Act (MMPA). Different federal agencies are responsible for overseeing the MMPA, depending on the species. Marine mammals that live in human care come under the jurisdiction of the United States Department of Agriculture (USDA), which oversees the Animal Welfare Act (AWA). Dolphin Research Center, and every public facility holding marine mammals, must be registered and licensed for public display by the USDA. If a facility conducts research with marine mammals, they must also register as a research facility. Dolphin Research Center currently maintains both public display and research permits. At least once a year APHIS inspectors arrive unannounced at DRC to inspect how well we follow those and additional regulations. We give the inspectors full access to all areas where our dolphins and sea lions live, and they observe how we handle and care for the family pod. Dolphin Research Center always makes the health and well-being of the dolphins and sea lions in our family our highest priority. We have consistently maintained an exemplary record of care and maintenance that has been recognized by APHIS inspectors as going well “above & beyond” government requirements. 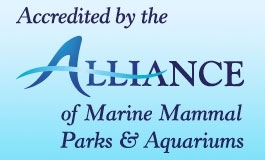 Dolphin Research Center is a member of the Alliance of Marine Mammal Parks and Aquariums (AMMPA). The AMMPA represents marine life parks, aquariums, zoos, research facilities and professional organizations worldwide. Its members are dedicated to the highest standards of care for marine mammals and to conservation in the wild through public education, scientific study, and wildlife presentations. To join the Alliance, a facility submits an extensive accreditation application along with two letters of recommendation from current Alliance members who have visited the facility and can attest that the applicant meets Alliance standards. The applicant makes a presentation before the full membership that describes the facility and its resources; all marine mammal programs; education, training, husbandry, and veterinary care programs; food preparation; research activities; and the history on each marine mammal in its care. A team of experts conducts an on-site inspection and evaluation to ensure full compliance with the Standards and Guidelines on which accreditation in the Alliance is based. Dolphin Research Center has always made the well-being of our family pod our highest priority. The Alliance’s ideals, standards and practices are a perfect match for our organization’s philosophies. DRC has been a member of the Alliance since the association formed in the late 1980s. In 2002, we were one of the first members to achieve full accreditation. DRC works with other leaders in the field to improve standards and guidelines used to provide optimal conditions for the animals in our care. DRC’s dedication to marine mammals and the environment we share goes beyond our lagoons in a number of ways. One of those endeavors is our standing as the only authorized manatee rescue facility in the Florida Keys. Manatees are considered an endangered species by the federal government, and therefore given special protection under the Endangered Species Act as well as the Marine Mammal Protection Act. DRC is frequently called upon to help manatees in distress. In order to assist them, DRC has been awarded a Letter of Authorization (LOA) by the U.S. Fish and Wildlife Service, which regulates the manatee rescue program. Under the LOA, DRC is licensed as a verification team, which means we provide verification of the location and condition of manatees in distress to the Florida Fish and Wildlife Conservation Commission (FWCC). Additionally we are authorized to rescue and transport distressed or injured manatees to designated facilities at the request of the FWCC, and to transport and release them back into the wild once they have been rehabilitated. DRC can also serve as a temporary rehabilitation holding facility. This allows us to provide temporary care to manatees by providing routine husbandry procedures and medical treatment based on advice from a qualified manatee veterinarian. In order to obtain the government authorization to assist manatees, DRC staff undergoes specialized training provided by FWS and other experts in the field. This training includes VHF radio tracking techniques of manatees who may need continued monitoring. We routinely conduct in-house assessment and rescue training, and practice by doing mock rescues. DRC also stays up to date on advances in the field by participating in the Interagency Oceanaria Manatee Working Group meeting annually held by FWS. Through our participation in the Florida Entanglement Working Group, we work to educate the public about recycling monofilament fishing line and keeping line and various other forms of marine debris out of the oceans.